If a serious auto accident is every driver’s nightmare, then a hit-and-run accident is one of those nightmares where you think you’ve woken up and then realize you’re still in a bad dream. Being hit and injured by a driver who leaves the scene can create feelings of helplessness and frustration. Fortunately, there are things you can do to help yourself in such a situation — both before it ever happens and after the fact. In this article, we’ll go over some of the steps you can take and some of the coverage that’s available to help victims in the event of a hit-and-run accident. The possibility of a hit-and-run accident is just one of the reasons that every driver should carry both personal injury protection (PIP) and uninsured/underinsured motorist (UM/UIM) coverage in Maryland. Uninsured motorist coverage allows you to file a claim against your own insurance policy in the event that you’re hit by a driver who doesn’t have insurance; your own insurance company essentially steps in and acts as the other driver’s insurer. Since you can’t file a claim against the insurance company of a driver you can’t identify, uninsured motorist coverage treats a hit-and-run accident just the same as it does being hit by a driver without insurance, and it will kick in to protect you in this event. Unfortunately, we find that many drivers waive their UM/UIM coverage down to the state minimum ($30,000 in damages per person with a cap of $60,000 per accident) without considering the consequences — even though additional coverage is often very affordable and despite the reality that an injury-causing accident can easily lead to medical bills and other losses and costs that exceed $30,000 per person and $60,000 per accident. One notable issue with UM/UIM coverage is that, since your insurance company actually steps in to act as the other driver’s insurer, they have a financial incentive to deny your claim and will frequently attempt to do so. While this can be frustrating, keep in mind that this is still a much better situation than having no insurance company that you can file a claim against at all. However, our law office always recommends that our clients not give recorded statements to any insurance company without us supervising the call. Personal injury protection (PIP), meanwhile, is another type of relatively inexpensive auto insurance coverage that provides benefits for lost wages (up to 85 percent), medical bills, and other injury-related expenses that result from an auto accident. PIP coverage isn’t based on fault, so PIP benefits will cover your out-of-pocket losses from a crash no matter who is responsible. The primary difference between PIP coverage and UM/UIM coverage for the purposes of a hit-and-run collision is that PIP only covers injury-related costs and lost wages, not damage to your vehicle or property. Rather than trying to file a complex UM/UIM or PIP claim on your own and taking on the stress and uncertainty of dealing with the insurance company yourself, it’s always a good idea to work with an experienced auto accident attorney who understands the law as well as the tactics that insurance companies use to deny or minimize claims. At Pinder Plotkin, we offer free initial consultations during which we can explain your insurance coverage and your legal options, so there’s no risk in calling us today and speaking with an attorney about your claim. PIP and UM/UIM claims also have important deadlines associated with them, and missing them can prove costly, so please don’t wait to speak with us if you’ve been in a crash and need help. 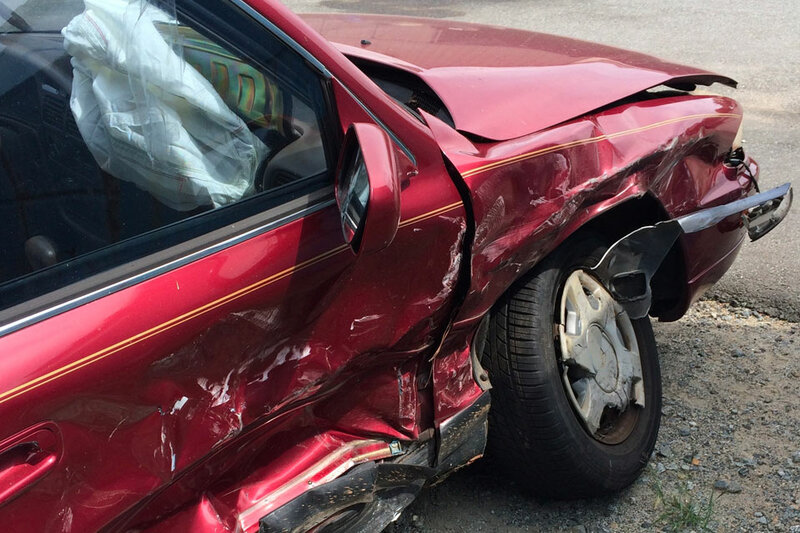 Even hit-and-run victims who don’t have any UM/UIM or PIP coverage still have an insurance option in the form of the Maryland Automobile Insurance Fund (MAIF). MAIF is a publicly-funded insurance carrier that provides basic auto insurance coverage in Maryland for people who are turned down by other insurance companies or in situations when no other coverage is available. The division of the MAIF that handles claims where there is no other insurance available is called the Unsatisfied Claim and Judgment (UCJ) division, and these claims are called UCJ claims. UCJ claims are limited to $30,000 per person and $60,000 per accident, and they are notoriously complicated to file and resolve. The MAIF rarely settles claims, which means a lawsuit is often necessary. You shouldn’t try to handle a UCJ claim yourself because of the amount of work and expertise involved and the likelihood of litigation; plus, the strict 180-day deadline to file a UCJ claim means you need to be very proactive about contacting an attorney. However, these claims can provide an important safety net for hit-and-run victims who don’t have other coverage available. If the worst happens and you find yourself involved in a hit-and-run crash, it’s very important to take the proper steps at the scene after the accident. Since leaving the scene of an accident before being told to do so by police is a crime, the first thing you need to do is call 911 immediately at the scene and inform the police about the crash and the fact that the other driver (or drivers) left the site of the accident. The police will arrive at the scene, create a police report, and begin a criminal investigation into the incident. However, you shouldn’t rely on the police report as your only record of the crash. As soon as you can, you should take steps to document the scene with photos and/or video and obtain contact information from any witnesses. After that, your next critical steps are to receive medical treatment and speak with an experienced auto accident attorney. We’ve outlined the important steps that you should take after an accident in greater detail in our previous blog post, “Act Fast: Speak to an Attorney Immediately after a Car Accident,” and our advice in that article applies to the scene of a hit-and-run accident too. Knowing this information and being prepared in the event of a crash can make all the difference when it comes to recovering compensation for your injuries and financial losses. Between dealing with complex insurance claims and evaluating your legal options, it’s easy to get overwhelmed after a hit-and-run accident. Fortunately, the legal team at Pinder Plotkin is here to advocate for you and protect your rights. We offer free initial consultations and a contingent-fee policy for personal injury cases, so there’s no risk involved in contacting us today. When you choose us to represent you, we’ll handle every aspect of your case, including dealing with the insurance company and filling out all the necessary paperwork, so you can focus on your recovery. Please call us today at (410) 661-9440 or fill out our online contact form to speak with an attorney and discuss your legal options. Statutes of limitations and insurance filing deadlines apply for personal injury claims and could jeopardize your case if you wait to get in touch with us, so please don’t delay.